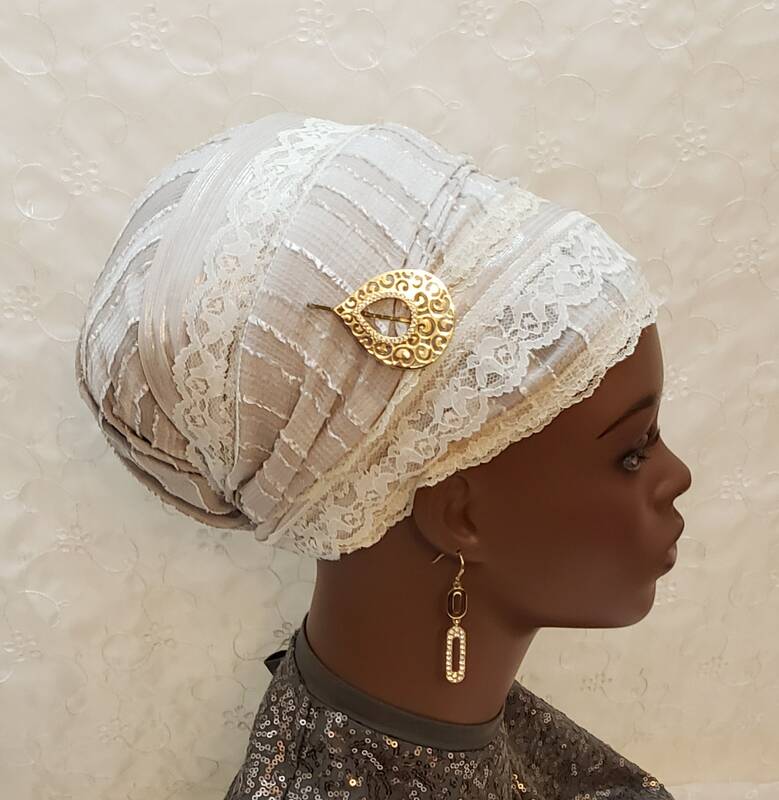 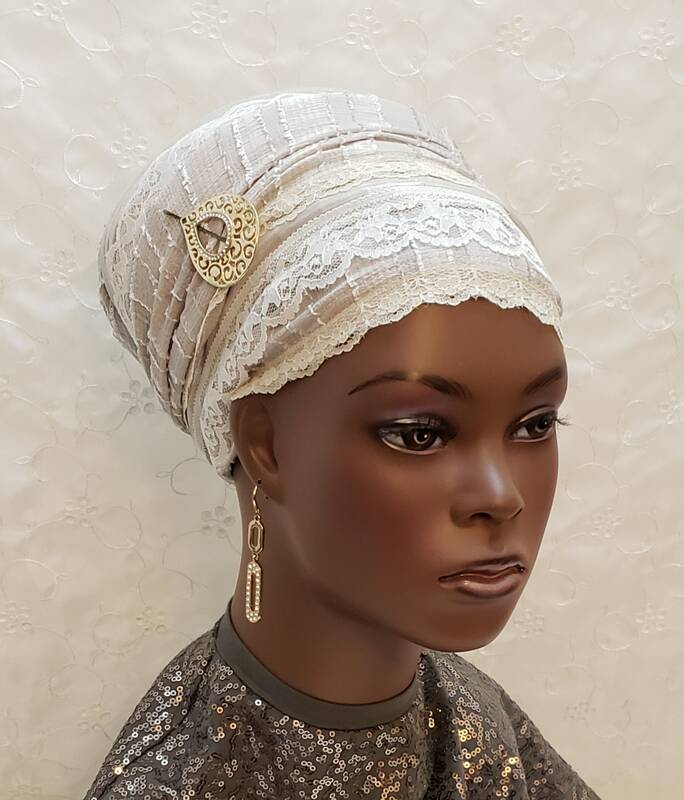 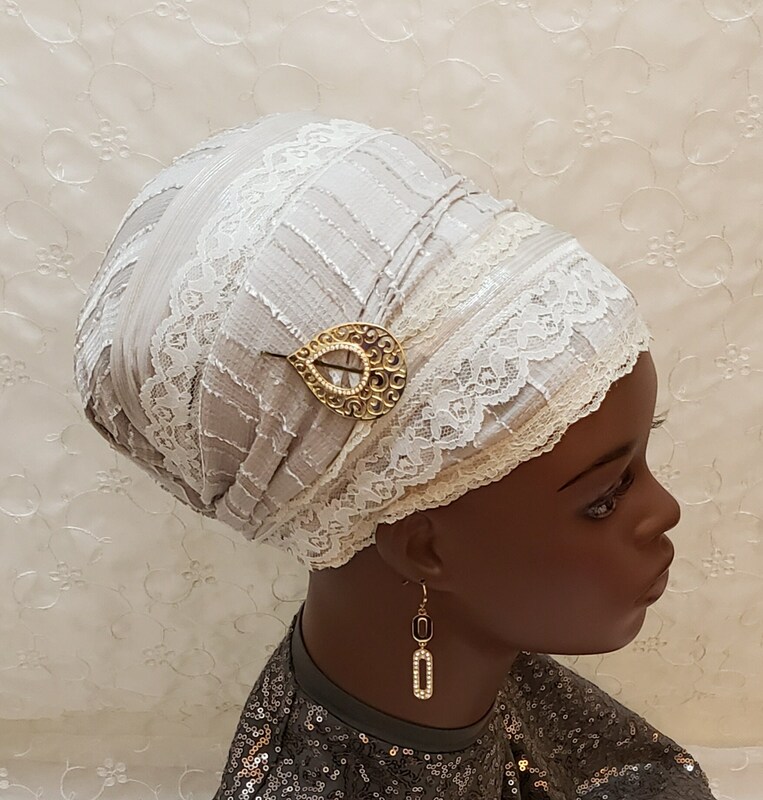 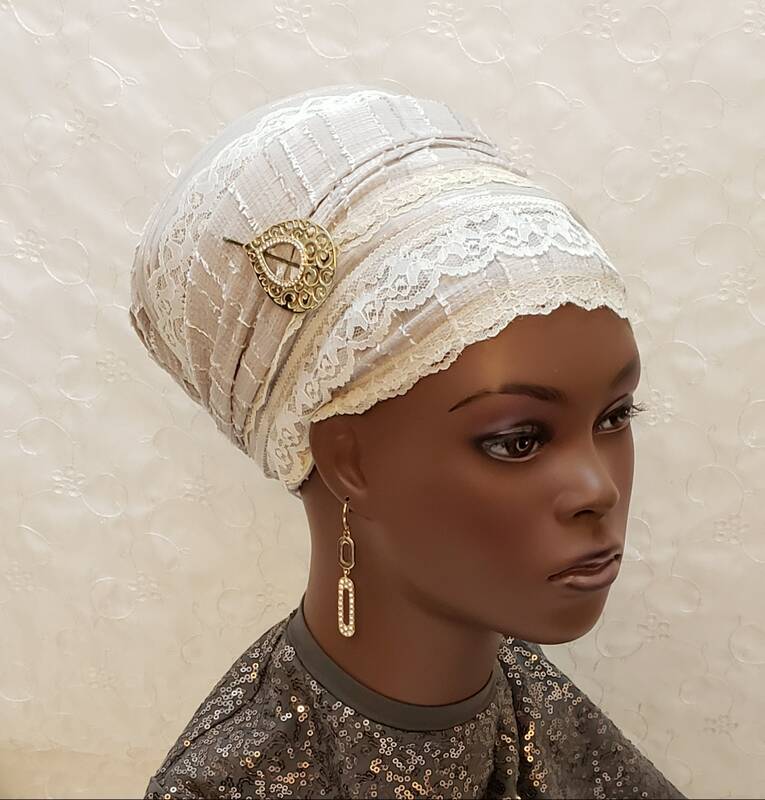 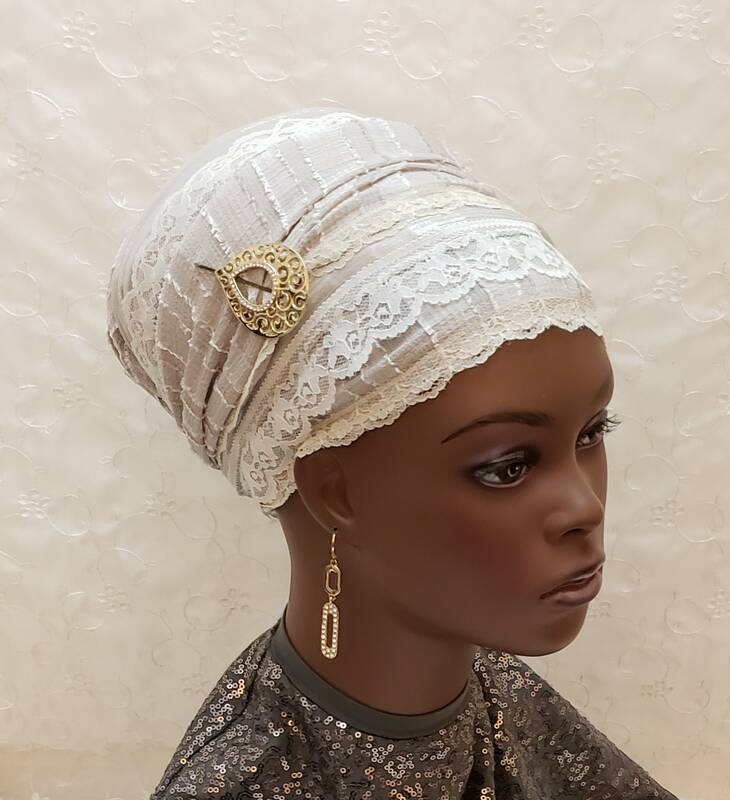 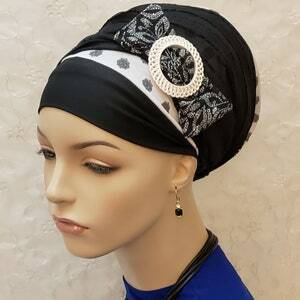 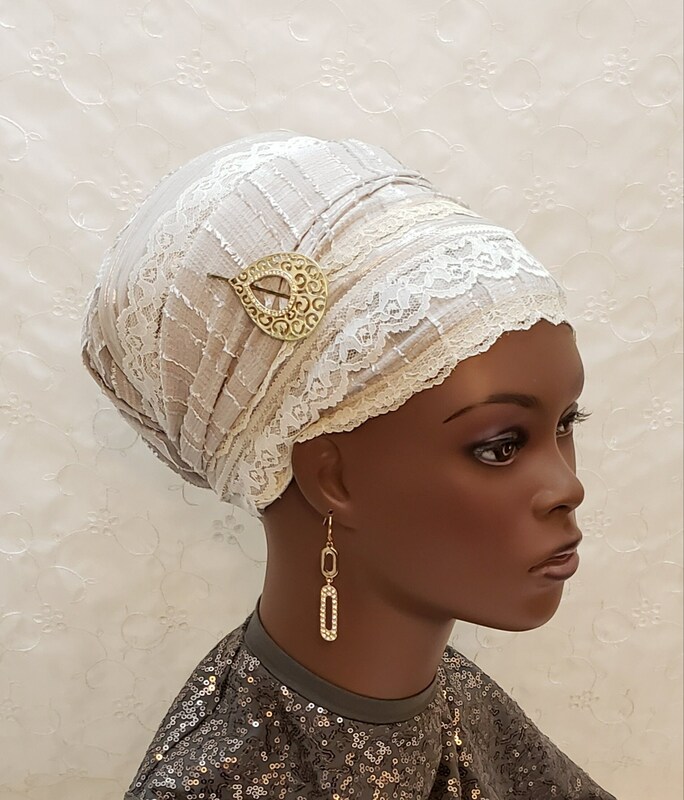 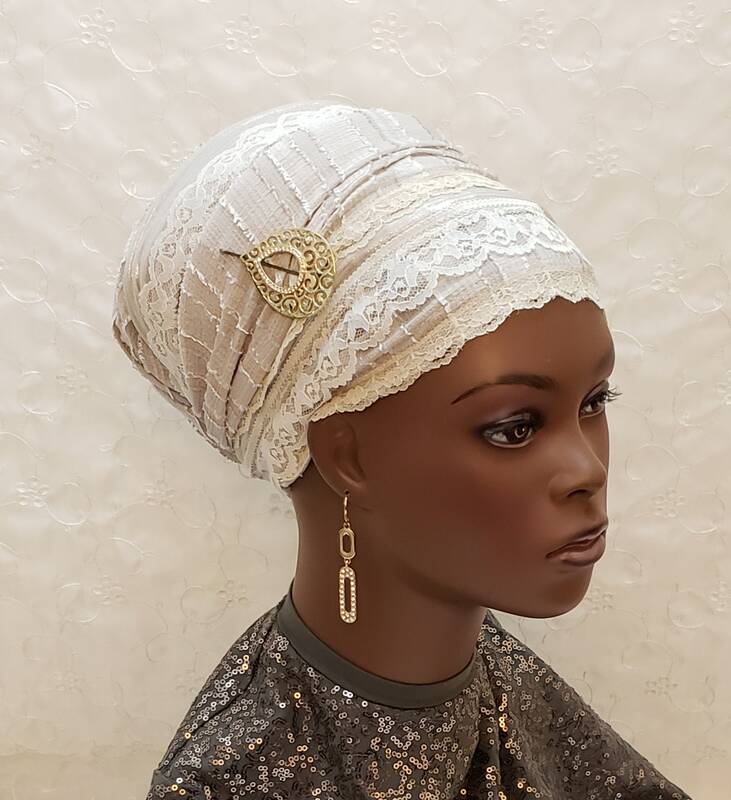 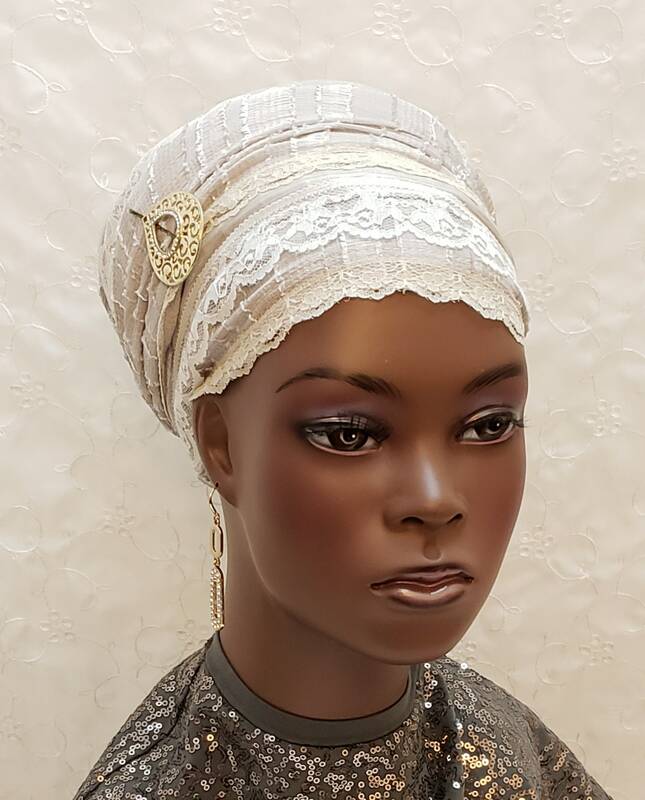 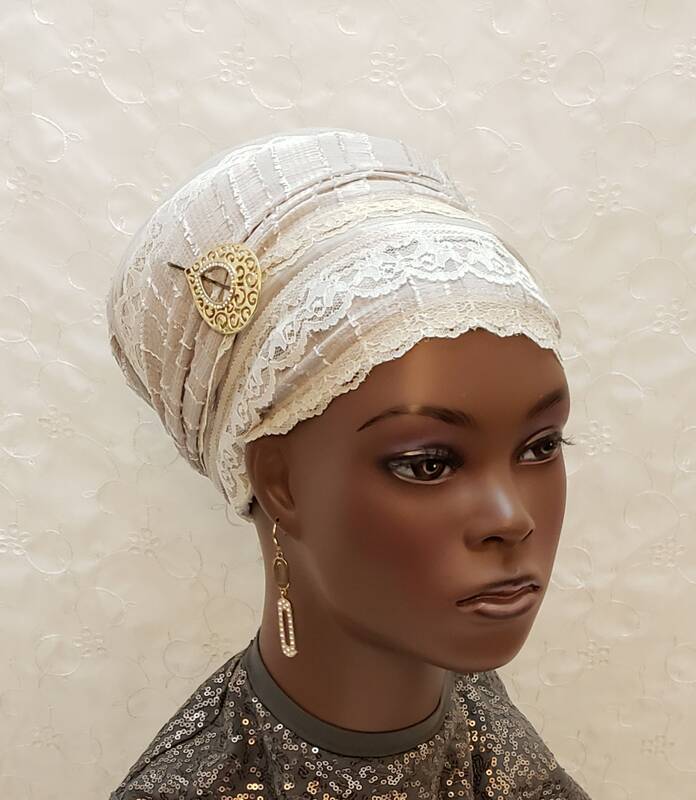 Your go-to dressy and elegant sinar tichel with beautiful tichel pin! 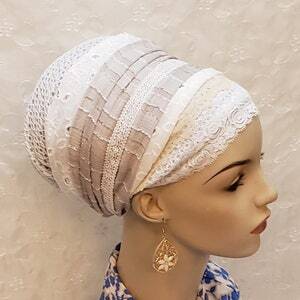 Neutral colors make this a scarf that can pair easily with your favorite outfits. 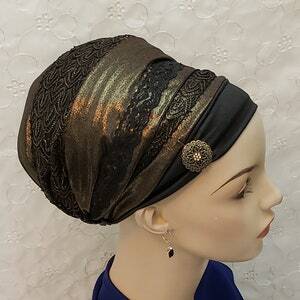 Perfect for Shabbat, weddings and other special occasions! 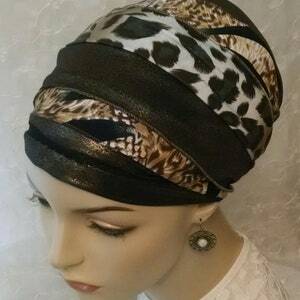 *For best effect, wear over a black volumizer.